This 32/384K USB DAC works as an audiophile replacement to your PC's soundcard and can stream high-quality audio from your PC over your existing home audio system. - Format: PCM digital audio. - Dimensions: 5.32" x 2" x 0.63"
Emotiva Big Ego is a USB DAC designed to provide an audiophile quality replacement for the sound card in your computer. 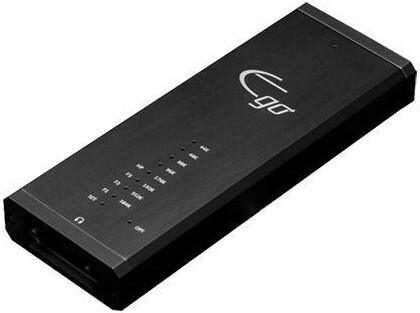 The Big Ego accepts stereo PCM digital audio signals up to 32/384k and converts them into an analogue audio signal, which can then be connected to a line level input on your main audio system, or used to drive headphones via the built-in high-quality headphone amplifier. 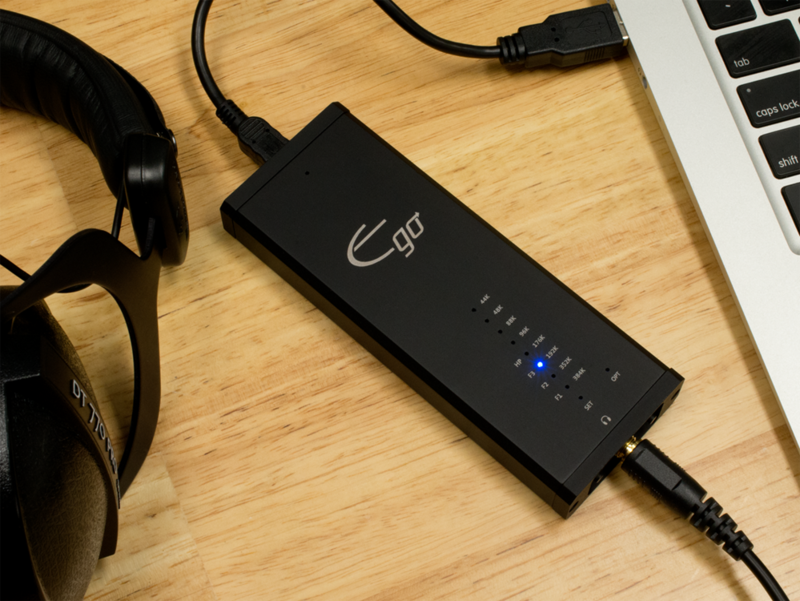 The Big Ego DAC is powered by the USB connection and requires no external power source, which makes it especially convenient for driving high-quality headphones from a laptop or portable computer. The quality of modern digital audio files is really amazing – as long as you have the right equipment to play them through. The hardware in most computers isn’t really optimised for audio playback, so it sets limits on your listening experience. Luckily, Big Ego is an easy solution. 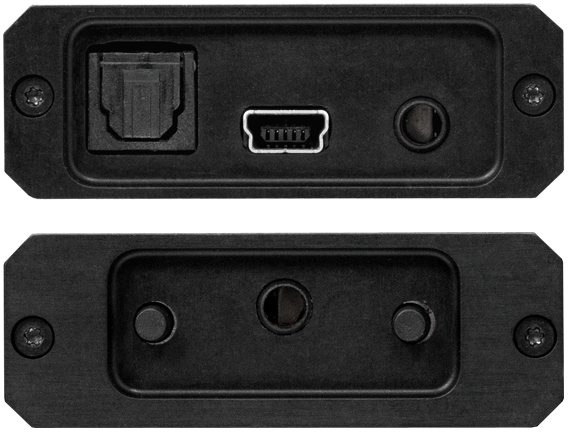 The Emotiva Big Ego USB DAC can turn the mediocre audio coming from your computer into something that actually sounds great. From ordinary streaming videos and MP3 files to high-resolution audio downloads; everything sounds better when you have a Big Ego. High-resolution downloads sound truly awesome, CD quality files sound great, and even lossy streaming audio will sound better than you ever imagined possible. With just a simple headphone amp and a low-cost DAC jammed into the case with a bunch of digital circuitry, audio was an afterthought in most PCs. The Big Ego’s precision USB interface, low jitter clocks, audiophile-grade DAC and direct-coupled audio path, paired with high-performance headphone amplifier, will make your hi-res audio files sound their best - a difference you'll audibly hear. The Big Ego is so easy to use that you don’t need to be an audiophile know-it-all to set it up. Since your computer sees your Big Ego as a sound card, it can play anything you can play on your computer, from MP3 files and video soundtracks, up to the latest 32/384k hi-res music files. The Big Ego even offers three different selectable digital over-sampling filters, to fine tune the sound just the way you want it. There’s even a sophisticated headphone blend mode to make your headphones sound more like speakers in a normal room. Feel like using your Big Ego to play your computer audio over your existing home audio or hi-fi system? No problem. 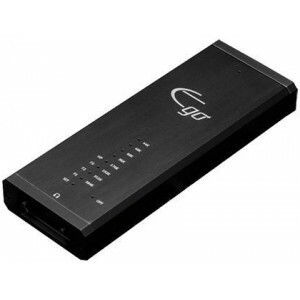 The Big Ego will convert your computer audio into high quality digital or analogue audio streams that are compatible with virtually any sound system.